My apartment was decorated by me thinking how I would like to live if I was visiting Buenos Aires , it is modern , warm , spacious, quiet , comfortable , to make you feel at home. The apartment has WiFi, and cable TV . Also a Laundry in the fifth floor, you do not need any token for the machines. El departamento cuenta con WiFi, y television por cable, lavadero en el quinto piso, que no requiere pagar fichas para accionar las maquinas. In case you need to leave your luggage after the check out, we can help you. for more information send me a message. In front of the building, crossing the street, you have the hop on-hop off turist bus stop, that belong to City goverment, it is safe and a good option for visiting the highlights in a confortable way. I am available for any question at any time for the guest. We also arrange taxis in case you need to pick you up at the airport, or any other place you might need. Estoy a disposición de consultas del huesped las 24 horas. I am available for any question at any time for the guest. Remember that trash can be drop in containers that are opening the door in front of the elevator. We can book taxis from and to airport, also in case is needed we can provide exchange service when currency is USD or Euros. Incredible apartment with a wonderful host! This was our first trip to Buenos Aries, and we were very luck to rent this apartment (twice – we took a short trip to Mendoza in between). It is a great loft space and had everything we needed. The word spectacular fits perfectly! Maria, who lives close by, had thought of everything a visitor could need - plug adaptors, the SUBE card for the public transportation system (we just had to add some value to it), well equipped kitchen, maps, guidebooks, cool lighting, A/C, artwork, Wifi, laundry...she even added furniture to the balcony between our two stays. My wife and I speak very little Spanish so what I appreciated most was her orientation and advice on getting around, shopping, things to see etc. Using What’s App to communicate, she helped guide us through the city. We happen to arrive on a national holiday, and she was kind enough to change some currency for us since all the banks were closed. Most places took credit cards, but still needed pesos in small shops, taxis, and getting around, etc. She also helped arrange our transportation to and from the international airport which was a huge help because I did not realize EZE is a fair distance outside BA. On our departure day, she was kind enough to hold our luggage because our flight was not until the evening. The neighborhood was great for shopping, restaurants, and attractions. The major bus and subway line are a short 4 block walk. It was an ideal base to explore BA. We’ve stayed at apartments in many of the cities around the world – NY, London, Paris, LA - and this was our top pick. Highly recommend this apartment and Maria is an incredible host. Thanks so much for your review . Hope to see you soon ! This beautiful, well appointed apartment was the perfect spot for our visit to Palermo. Our host, Maria was very friendly and so gracious. She met us at the property, even after being in a car accident the day before, to make sure we were settled in. She was very thorough, making sure we had a card for public transportation pre-loaded with a few pesos, gave us a list of restaurants and a map for the bus system with instructions on where to get on and off. We have been using HomeAway for years and years, and Maria was one of the best property hosts we’ve ever encountered. Super sweet and very accommodating. The apartment was very clean and lived up to the description perfectly. The only detail that we would have wanted better clarification on was how to use the laundry service in the building. It turned out the washing machine is also the dryer. Since everything on the machine is in Spanish we were unaware and after washing our clothes we were unable to dry. We ended up drying everything on drying racks. The next day when I asked Maria, she explained and we all had a good laugh about it. My wife and I would highly recommend this property and on our next trip back to the city would definitely stay here again. We stayed at this lovely apartment for 2 nights . We wished it could have been more . The owner was so helpful beforehand keeping in contact and organised a driver to pick us up from the airport . She also stayed and explains to us the best places to go , how to use the hop on hop off , (where one of the route bus stop is actually outside the apartment and the more popular route one block down ). She also showed us how the washing machine worked which was not in the apartment but in the building complex . She was so thoughtful and bought some washing powder for us . This apartment is so beautifully decorated and bed really comfortable with air conditioners downstairs and in the loft . The owner was also able to organise a driver for us to stop at the Buenos Aires cathedral to see San Martin’s tomb on the way to the cruise terminal . She went out of her way to help - nothing was too much trouble . It has a lift to the floor and security so that is all a bonus . The outlet factory shops are close by and restaurants not too far away. She also speaks English so it made it easier for her to organise exactly what we wanted . Highly recommend staying here . This place was a super great location in Palermo Soho which is the best neighborhood for walking and shopping if you like small independent boutiques, restaurants and cafes. The balcony was a bonus, but I just wish it had furniture. Maria was very helpful and responsive during the entire stay. This is a typical BnB that is not lived in so the furniture is pretty uncomfortable but you wont want to spend much time in the space since you have the city to explore. My biggest complaint was the plastic mattress cover that made sleeping pretty hot and noisy. In general, I would recommend Maria's place. We stayed for a week in December 2018. It's a great space in a great location. We loved the loft layout with the bedroom upstairs. It's close to many good restaurants (e.g., Don Julio, El Trapiche and Parrilla Miranda). The subway is only about 4 - 5 blocks away. Maria was very helpful with info, setting a car to airport, providing metro card, etc. Highly recommended. Thanks a lot for your review ! Happy new year ! 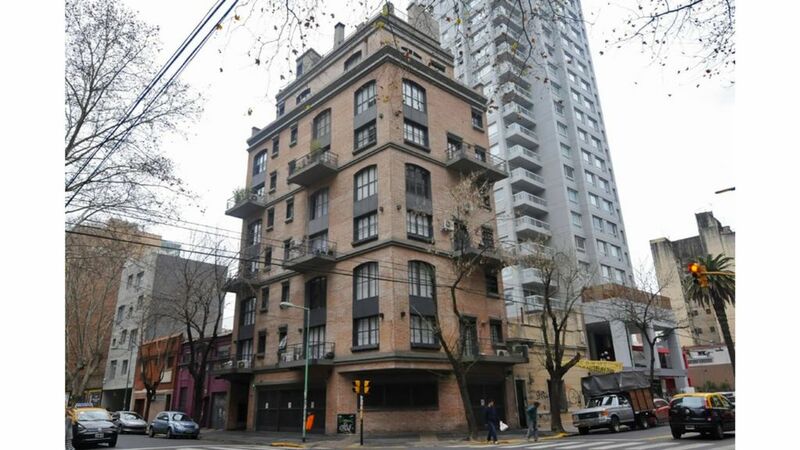 Great Place to Stay in Buenos Aires "Palermo Soho"
The apartment is well located for exploring Buenos Aires, and especially the Palermo neighborhood. The accommodations are comfortable, well stocked, and well maintained. The hosts are friendly and very helpful. For those who enjoy a night out, there are many great restaurants, bars and more in the Palermo district of Buenos Aires. Buenos Aires is a delightfully vibrant city with a unique character of its own. The public spaces and art are exceptional. This is a great destination city and we only regret we didn't have more time to enjoy more of it. Would definitely stay in the Palermo Soho Spectacular property again!